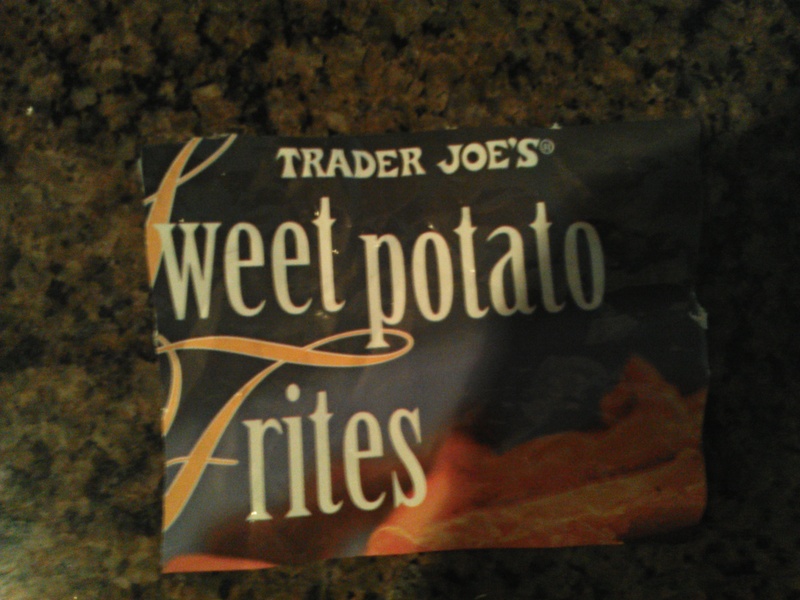 Posted on September 10, 2014, in Process, Quality and tagged Error Proofing, Printing, Process, Quality, Trader Joe's. Bookmark the permalink. 12 Comments. Frites are actually French for Fries, so this is not really a printing error. As you suggest it probably went through many discussions and reviews to select the name to print on the back and try to suggest that the contents of the bag are special. Not too sure if that’s a typo. “Frites” en French means fries. Or maybe not a printing error. Trader Joe’s is owned by European parent company. Frites are commonly ordered with your steak in France and Germany and other non-English speaking countries. Perhaps a creative brand manager’s idea simply flew over the heads of pomme-shopping customers. Interesting. Thanks for letting me know. I had no idea. I love learning stuff like that. I always enjoy reading your posts, but this one made me wonder. I see your point about how many people must have looked at that packaging and wondered about the spelling. My daughter works at TJ’s so we eat lots of their stuff. I found it hard to believe that they would make such a blatant mistake. So, I asked Google what sweet potato frites were and learned, beyond numerous websites with delicious recipes, that they “are made by julienning and deep frying sweet potatoes, in the fashion of French fried potatoes”. Your point is a valid one as I have seen this happen before. We had a banner in our workplace for years with a graphic of the “temple” and one of its pillars is “Saftey”. This is actually correct, see below. Maybe this is a lesson or illustration of the need to “go to the gemba” and what happens when we make assumptions about what is or isn’t an error? Absolutely. I need to brush up on my foreign languages as well. Yes Frites is what many Europeans call a French Fries and it does actually mean fry in French, that being said you are far from alone in the world as to not knowing what frites are. In fact I would bet that they have missed sales by using the term, there are an awful lot of people who haven’t been to Europe, and there are also an awful lot of people that do not speak French, and many of them have probably gone into a store to buy sweet potato fries and have seen the package and skipped it for that simple reason (it just wasn’t what they were looking for. Our media and marketing types are trying to hard to get fancy by using foreign words instead of the most common English word in their marketplace. Hell when the media started using tsunami instead of tidal wave I had to look it up to see if it was the same thing. It could be the reason that English is the world’s fastest growing language it adopts new words at the speed of light, often than for no other reason than because someone is trying to look more intelligent than they really are. Even we Lean folks are guilty of it, when we use Japanese words instead of trying to use English. Since English has over 1.5 millions words in its vocabulary, and more than 500,000 in common use it is the worlds largest language, do we really need to keep adding more.